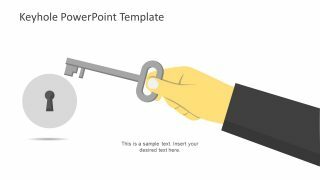 The Keyhole Graphics for PowerPoint is a metaphor template of flat vector of creative infographics. 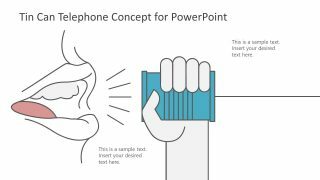 The template has 5 amazing slides of diagrams and concept PowerPoint presentations. The keyhole and keys shapes are the symbols for finding solution, secure communication and overcoming barriers. The keyhole is also a metaphor for moving towards the better opportunities such as, business ventures and innovations. The first slide of PowerPoint keyhole graphics is a 7-step pendant diagram of infographics. It is a material design spoke diagram with a 3D illustration of key and lock. 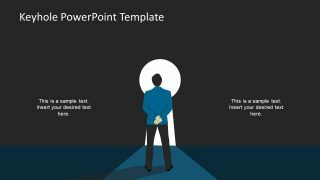 The SlideModel main catalog has another amazing 7 steps material design diagram PowerPoint with clock center. 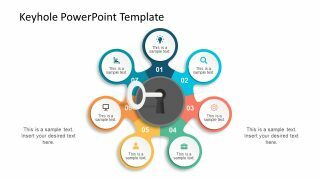 This presentation slide is ideal for displaying the stages and segments require for problem solving. 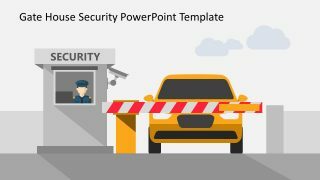 The template of Keyhole Graphics for PowerPoint provides the editable slides of unique illustrations. For instance, the clip art businessman figure standing in front of keyhole and light is shining through. 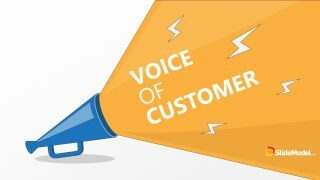 It depicts the motivational ideas for better business opportunities as well as for individuals. The template also has 4 key shapes representing a 4-segment diagram. 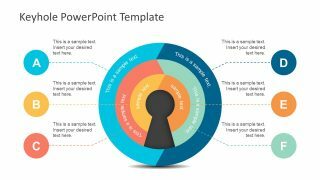 However, the center of this PowerPoint diagram contains a keyhole. This slide illustrates the several solutions to one problem. 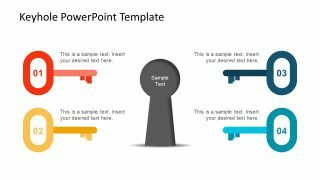 Moreover, the objects are shapes, icons and infographics are editable in PowerPoint including the backgrounds themes and layouts. The design of Keyhole graphics is also suitable to present key steps for success. 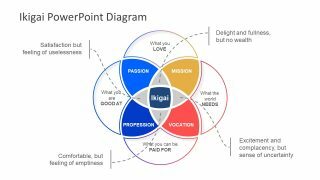 Present the ideas using the professional PowerPoint slides to make an instant impact on audience. Further, the vector template has as illustration of hand unlocking keyhole and an outstanding 6 step diagram. This is a creative diagram of circular processes with keyhole as the main center. Whereas, the circular icons with alphabets represent each segment in an organize format. These diagrams have an amazing colorful theme, however, it is changeable from shape fill or variant colors option.